A short article on the IWW, electoral politics, the State and the questions it raises for revolutionaries today. In this article I look at the early fights over the Preamble and the role of Political Socialism. I focus in particular on the ideas of one of the IWW’s founders, Thomas Hagerty, in order to open up a discussion of the relationship between the historical IWW and electoral politics. My real interests here are not in historical IWW but in what lessons the IWW can learn for relating to statist politics today. While the organization currently includes many self-described anarcho-syndicalists, anti-state Marxists, and others who oppose the state, there hasn’t been much written on the IWW’s relationship to the State, nor has the organization done enough analysis of the role of the State. 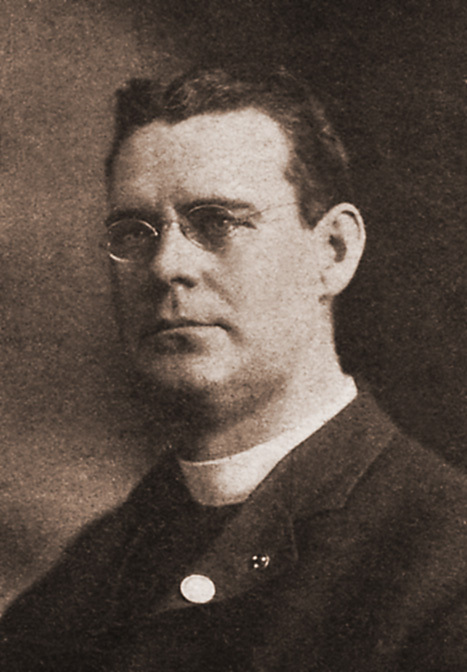 According to Luther M. Gaylord’s case study on the IWW Politics vs. Syndicalism anti-statist politics did not come from the influence of the European syndicalists but arose “from actual concrete experiences of the lower grades of workers in the western states.” That is, anti-state perspectives arose organically or indigenously from the U.S. working class, rather than being an intellectual import from theorists abroad. The Western IWWs looked upon the whole modern system of government with considerable disdain. They saw parliaments as little more than clearing-houses for the exchange of “vague and sterile platitudes.” They saw the modern State only as an instrument capable of servicing the interests of the capitalist class. While IWW members in the Western U.S. were an important part of the organization, there is a myth in the IWW that these anti-statist politicscame almost entirely from the West. If we look at the founding convention in 1905 almost all of the delegates who came together could be described either as socialists, militant trade unionists or anarcho-syndicalists. Sal Salerno’s Red November, Black November discusses the influence of anarchists at the founding convention, including famous wobblies like Thomas J. Hagerty and Lucy Parsons. Hagerty is of particular interest, in part because he composed the first draft of the IWW Preamble. He had been a member of the Socialist Party until he became disgusted with what he called the “slowcialists,” and turned to revolutionary unionism. In a speech to miners at Telluride, Colorado, in 1902, Hagerty alluded to the later arguments he would make for economic direct action and organization in the first draft of the Preamble. He advised the miners: “That railroad is yours; those large business blocks and office buildings downtown that bring in big rent are yours; if you want them, go and take them.” He agitated for direct action, in the form of the confiscation of capitalists’ property, not the ballot box. Hagerty’s disdain for political socialism was made clear in his speech at the founding convention, when he declared that “The ballot box is simply a capitalist concession. Dropping pieces of paper into a hole in a box never did achieve emancipation for the working class, and to my thinking it never will.” Given his views, it is understandable then that Hagerty's draft of the IWW preamble did not include a role for state-oriented politics. Rather, it emphasized the importance of the union as the center of revolutionary struggle, contending that the proletariat should “take and hold that which they produce through an economic organization of the working class,” the classic goal of anti-statist revolutionary unionists. Later commenting on the IWW’s 1908 Preamble, Samuel Yellen was struck by its similarity to the original Pittsburgh Manifesto of the Chicago anarchists. “In principle,” he wrote, “the I.W.W. resembled the “Chicago idea” anarchists of 1886, but advanced beyond them to syndicalism.” It was the conscious efforts of anarchists like Hagerty who continued to affirm in the face of great adversity the principles which the Chicago anarchists gave their lives defending. Hagerty’s contribution to the revolutionary union movement lies in the endurance of the original intent of the Preamble he authored and the courage of the I.W.W.’s rank-and-file to affirm this core principle. it emphasized the importance of the union as the center of revolutionary struggle, contending that the proletariat should 'take and hold that which they produce through an economic organization of the working class,' the classic goal of anti-statist revolutionary unionists.